Dr. John P. Donoghue is the Henry Merritt Wriston Professor and Chair of the Department of Neuroscience at Brown University. Donoghue’s big breakthrough came when he designed a machine, the Braingate, that uses thought to move objects and control a computer in paralyzed patients. Since his undergraduate days at Boston University where he received his B.S., John has been interested in brain function which he augmented with a master’s degree in anatomy from the University of Vermont. His career really took off once he attended Brown University and completed a doctoral degree in neuroscience. In 1992, John became the founding chair of the Department of Neuroscience and has since served on review boards for the National Institutes of Health, the National Science Foundation, and NASA. 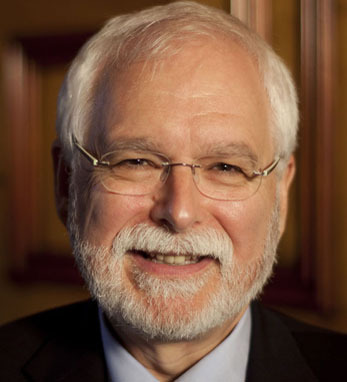 His numerous awards include the Javits Neuroscience Investigator Award from the National Institute of Health. John is a second-generation Irish American with ancestors from Kilgarvan, Co. Kerry on his paternal grandfather’s side. Donoghue had returned to Kilgarvan with his wife and kids and was surprised to discover locals still remembered his family. John lives in Rhode Island with his wife and children.